Have you ever wondered where Big Ben's Christmas Tree comes from? 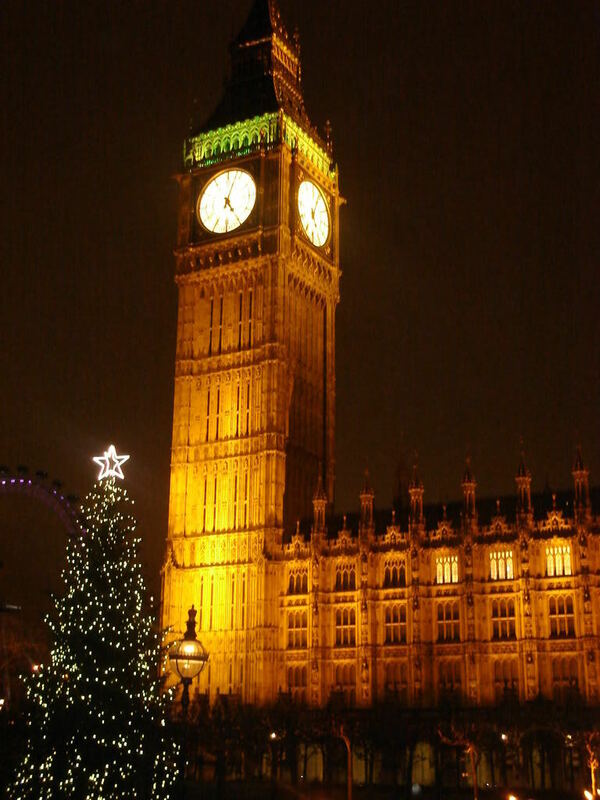 Every year for the past twelve years the Christmas Tree erected in London near Big Ben and the Houses in Parliament has come from a magical forest where the skies are some of the darkest in Europe. 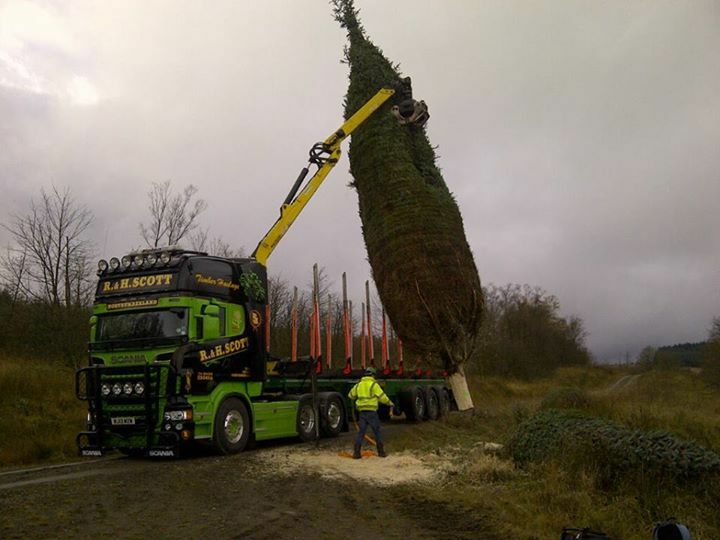 Tall trees of up to forty feet high are also provided for other cities around the UK including the Scottish capital Edinburgh, Liverpool and Manchester. Right at the source of the River Tyne where one of its tributaries, the North Tyne emerges, the reservoir was built in the 1960s to supply the industry of Tyneside and is now the largest man-made lake in Europe. The industry has slipped away, but what we are left with is far more spectacular. Kielder Water and Forest Park is brimming with wildlife such as otters, deer and red squirrels, which are native to Britain. and have been somewhat over-run by their bigger American cousins, the grey squirrel in the latter part of the 20th century. Kielder is promoting protection of our native species and hosts the largest remaining population of red squirrels in the country. A huge conservation area, there's also birds of prey, border mires with peat bog plant species and salmon hatcheries, which were created to replace the original up-river breeding grounds following the construction of Kielder Resevoir and Dam. There are walking and cycling trails around the forest including Osprey Walk and Lakeside Way on the north shore, that allow visitors to experience the natural beauty of the forest while the forest is ideal for other events such as the Kielder marathon in terms of human endeavour. If you're a stargazer, and who isn't given half a chance, Kielder is acknowledged as one of England's darkest areas due to the lack of light pollution found in towns and cities and a further bid is being made to expand the 'dark sky' area across 1500 square kilometres of the Northumberland National Park and gain recognition as the largest 'Dark Sky' area in Europe from the International Dark Sky Association (IDA) based in Tucson, Arizona. This will keep the whole region free of light pollution and preserve the dark skies for future generations to come. 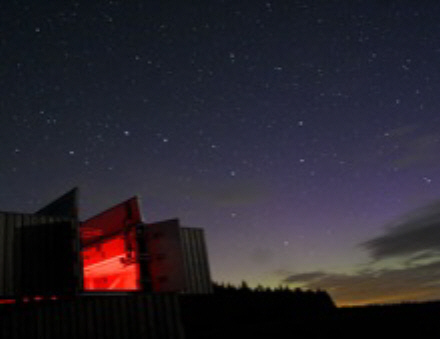 Kielder Observatory is a wonderful place to discover the night sky and the area has attracted both professional and amateur observers in recent years. The Observatory is open all year round and has frequent events and observation sessions and you can find out more and how to book by clicking on the link. 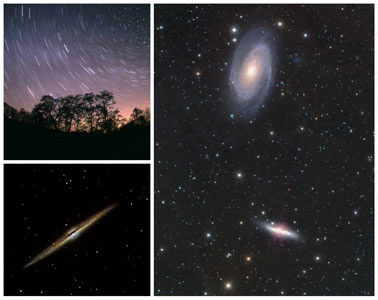 Apart from star constellations, other supernatural spectacles such as comets, shotting stars and the Northern Lights have gathered crowds wishing to see some of these natural delights with the naked eye. Outdoor sports such as canoeing, sharp-shooting and other organised activity days are also available on a 'turn-up and try it' basis as are corporate activities such as staff team-building days and specialist activities for disabled visitors. Visit the Calvert Trustto find out more. In the run up to Christmas, the forest becomes a Winter Wonderland with Santa's elves busy in the workshop and Mrs Christmas organising trips around the forest and theatre shows for visitors. Lights are strewn around the largest living Christmas tree and carry on to light up sections of the forest to create a magical wonderland for adults and children alike. 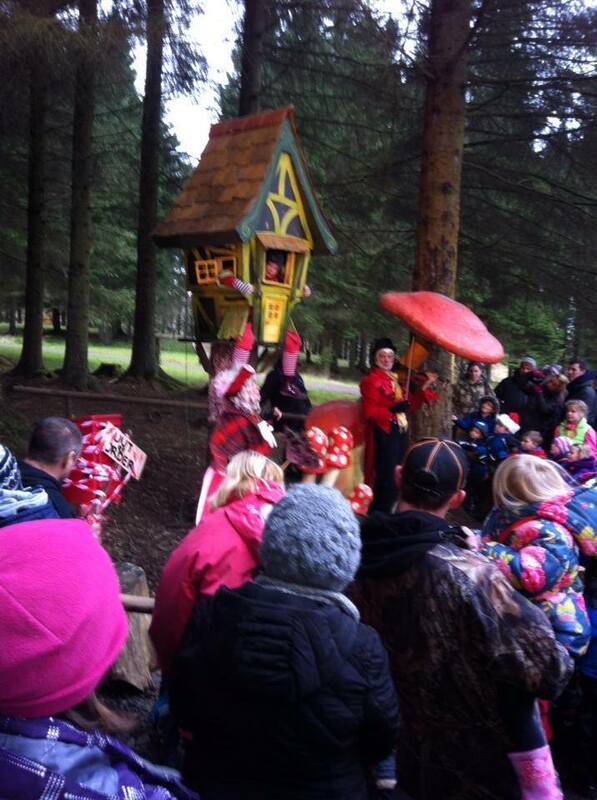 Visit Father Christmas in his secret woodland home as the elves guide you through the enchanted forest and join Mrs Christmas who has been busy organising fun filled activities for all. At the weekends throughout November and December the Kielder Forest Winter Wonderland is in full swing and costs between £32 - £35 per person depending on when you go. More info. There are visitor centres at Kielder Castle, which has a cafe and tearoom, and at Tower Knowe and Leaplish where there is also a caravan park. Accommodation can come in various forms; The Calvert Trust has timber lodges available while self-catering rented cottages, local b&b's, small hotels and Youth Hostels can be found in the surrounding villages and areas that are a short drive from the forest. Kielder offers a taste of the great outdoors for anyone who loves nature, walking, cycling or observing the heavens. It's a long time since I took my kids there. Must put it on my to do list. 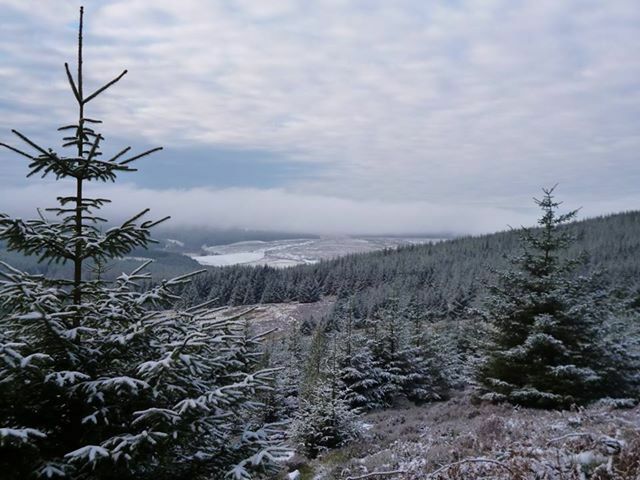 As Kielder Water and Forest Park are part of the natural environment in Northumberland, they are sometimes affected by adverse weather conditions, particularly in winter. Remember to check their website before you go in case any of the even have been cancelled. A wonderful place to read about; thanks for sharing, Margaret.